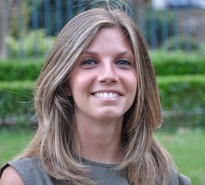 EMILIA SICARI, is currently a Double Degree student between Università Commerciale Luigi Bocconi in Milan and Hertie School of Governnce in Berlin. She attended the first year of Master in Milan where she studied Economics and Management of Public Administrations and International Institutions. During her second year in Berlin, she attends a Master of Science in Public Policy. Emilia gained a Bachelor Degree in Political Science and International Relations at LUISS Guido Carli University in Rome, spending one semester in Tilburg, The Netherlands, as an exchange student. Emilia also gained a Diploma in European Affairs at Istituto per gli Studi di Politica Internazionale (ISPI) in Milan in 2014. Her interest in the procedures for defining, monitoring and evaluating public policies in a post crisis context, led her to start her collaboration with Action Institute as an intern in 2015 and continue as an associate. Emilia’s main interests are human capital policies, especially education policies, social policies and local policies.